Which Cover Should I Choose for My New Sofa? Everyone dreams of the perfect home, a place of beauty that provides a welcoming environment to the ones we love. But, just as we aspire to become our perfect selves, the definition of perfection will vary from person to person because we’re all unique, and since a home is an expression of the occupants, so too, the perfect home. The design, the décor, the style, the furniture, the colours, everything should be an expression of self. With the right attention to detail, a little guidance, and some inspirational research—you’ll embark on a personal journey of discovery to find the style that expresses you and find the perfect pieces that go with it. When it comes to creating your dream home, the obvious place to start is the living room. Each component in the room should be selected with your lifestyle in mind. What might work for a single person with no kids might likely be totally off-base for a family of four. And what is the gravitational centre of the living room? The sofa, of course! Some people refer to it as the couch, but hey, we’re aiming for perfection now so show some respect. 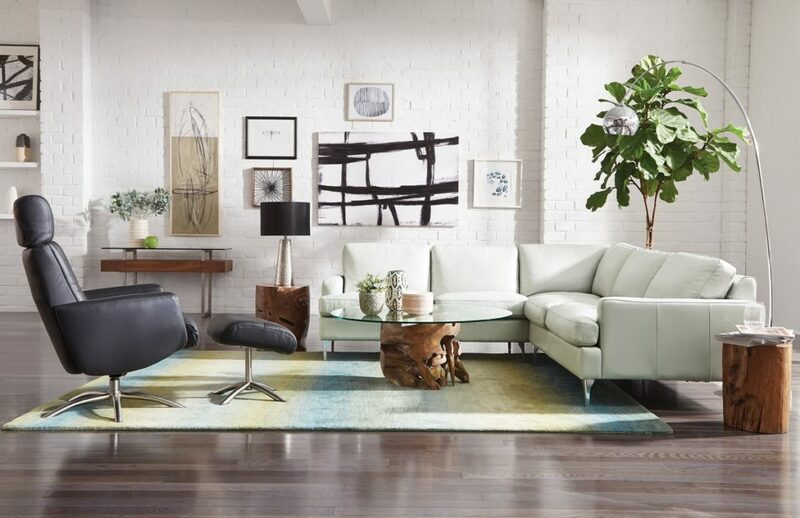 During your quest for the perfect sofa, one pressing question will definitely leap into your head: leather or fabric? 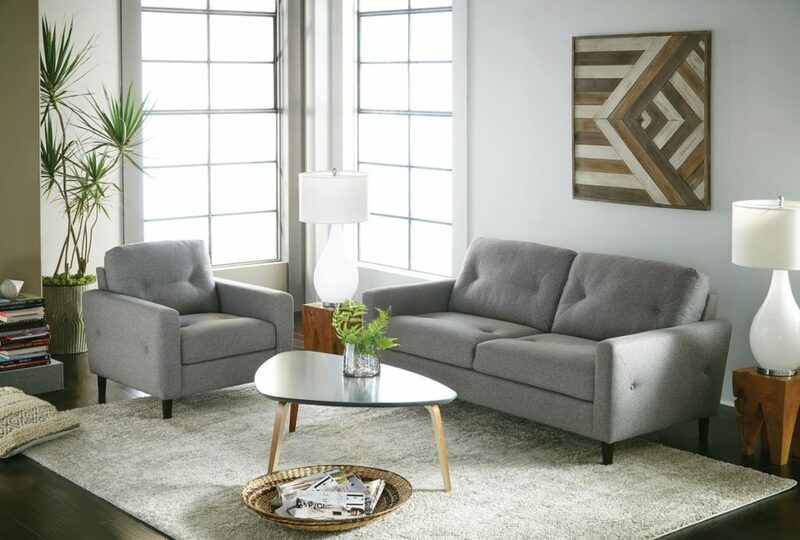 Should I Buy a Fabric or Leather Sofa? My answer: It depends. Disappointed? Don’t be, for each option has its place. Neither material is inherently better nor worse. It’s more a question of how it will mesh with your lifestyle and, of course, your budget. If you haven’t identified your personal needs yet, you can read our previous blog article Choosing Your Living Room Furniture which will guide you through the process of selecting your living room furniture. Ready to find out more about the pros and cons of a fabric sofa versus a leather sofa? Here we go. When it comes to the question of leather vs. fabric, the cost is usually the first consideration. Although there are exceptions to every rule, fabric sofas usually cost less than leather sofas. If you are on a tight budget, but want a larger piece, like a sectional, choosing a fabric material will be gentler on your budget. When it comes to comfort, it’s more than just the fabric that contributes to the overall feel of a sofa. The support system, frame, and cushions, all contribute to a sofa’s level of comfort. That said, the consensus seems to suggest that a sofa upholstered in fabric – due to the softer, warmer quality of the material – tends to be more comfortable than one covered in leather. You may also have heard the expression “new vs. broken-in” when evaluating overall comfort. Well, if you’re looking for a sofa that feels broken-in from day one, choose fabric. Leather tends to be firmer and stiffer when new and will require a “breaking in” period. Fabric sofas come in many different colours and patterns. These options are ideal if you are looking to brighten up a room or add character to your space. 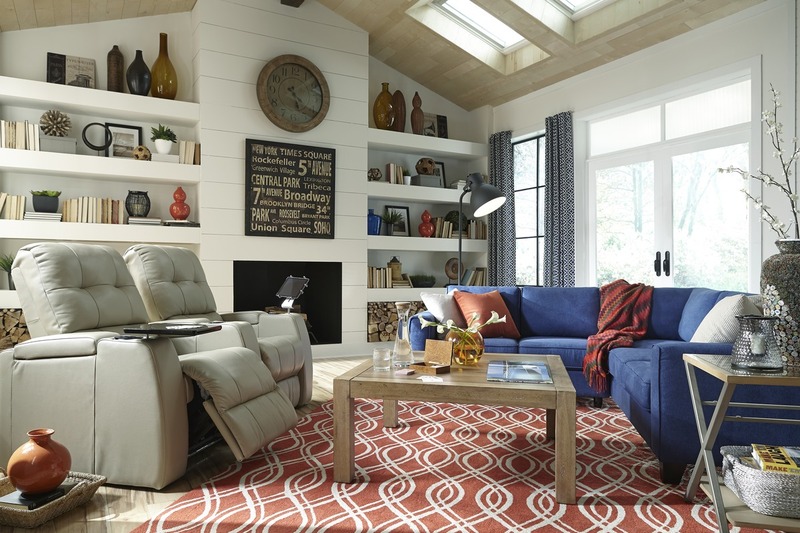 A sofa fabric is a great way to express personality and showcase your family’s unique style. Adding a splash of colour to a room can make all the difference. When it comes to durability and long life, choosing a performance fabric for your new sofa is a must, especially if you have children. Performance fabrics are carefully engineered to be resistant to daily wear and tear, making them ideal for indoor and outdoor duties. Performance fabrics offer other great advantages, such as resistance to sunlight and easy maintenance. Once in a while, fabric sofas will require a deep cleaning, and, unfortunately, some stains are harder to remove than others, especially if they have had a chance to set in. The good news is that most fabrics today have a stain-resistant finish, so when a spill does occur, it’s much easier to treat. If your sofa fabric hasn’t been treated with a stain protector, you should consider having it done by a professional. For a prolonged life of your furniture, it’s money well spent. The age-old maxim that you get what you pay for applies here too, in that a higher-end fabric will be easier to clean and last longer than a cheaper grade. Yes, a higher-end fabric will withstand the rigours of daily use better than an inferior quality cover, but it shouldn’t surprise you that it’s equally true in regards to a sofa’s overall construction, as well. So, if you’re looking for a sofa that will last, the price will be a reliable indicator of the sofa’s construction and quality. Besides construction and fabric quality, a sofa’s lifespan can be shortened simply because it’s no longer in style. When you shop, pay attention to the kind of prints, patterns and colours. What’s super hot and trendy today may quickly pass into the trash bin of bad taste. Domestic animals, especially cats, are the arch enemies of fabric sofas. Make sure you buy your cat a scratch pole before you buy any new upholstered furniture. 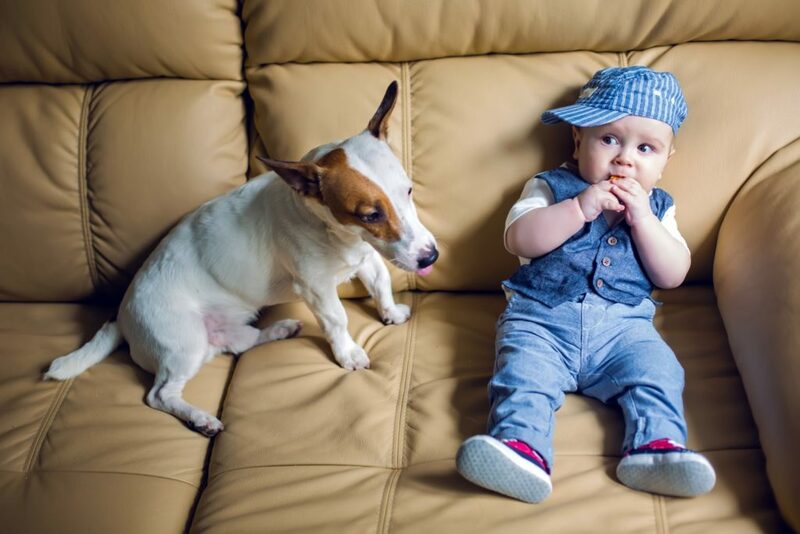 Pet hair is also another concern when you buy a fabric sofa, as it could be a real challenge to remove in a hurry. 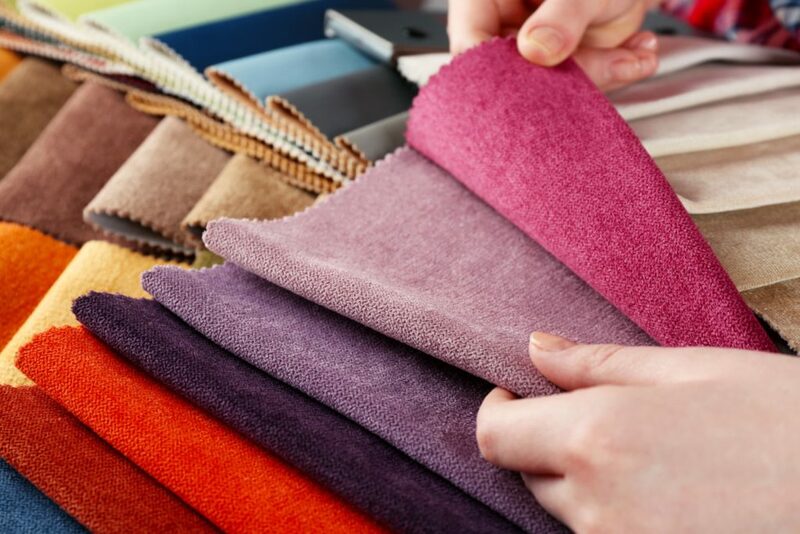 Look for a fabric that can be easily brushed, like velvet or microfibre. They’ll make the job of pet hair removal way more manageable. Otherwise, expect to do a vigorous vacuum cleaning every week! Many people prefer leather because of the look and feel, durability, and cleanliness of the material. Of course, appearance isn’t the only benefit to choosing a leather sofa. For example, if you suffer from allergies, choose leather because, unlike fabric, leather won’t harbour dust mites, dander, and other allergens. Leather is also extremely easy to wipe down and keep clean. Leather has a style advantage over fabric, in that a leather sofa will immediately add a touch of elegance to a room. Sorry fabric, leather just exudes sophistication and luxury effortlessly. If modern chic or contemporary sophistication is your thing, leather is for you. And if you think leather is reserved for families without children, think again. It can be a great choice for families with older kids, or with pets who know better than to leap on the furniture. As mentioned earlier, leather has the advantage over fabric when it comes to cleaning. Usually, just a wipe down or dusting will do a few times a year; whereas fabric sofas require a thorough vacuuming regularly. But leather is not maintenance-free. It will require a regular treatment to protect it from UV light and, like your own skin, it will need to be “moisturized” once in a while. Don’t worry though. You need only do this one or two times a year, no professional required. If cared for properly, your leather sofa will last on average at least five years longer than a fabric sofa. Leather’s great charm is that it gains character as it ages and, unlike its fabric cousin, it will maintain its shape and looks longer. If you plan on keeping your sofa for many years, make sure to pick a style and colour that is more neutral so that it can adapt to changing décor trends. When it comes to pricing, leather will always be more expensive than fabric, but evaluating costs, think long-term. If you love the look of leather, but simply cannot afford it, you can always buy the sofa and a loveseat in a fabric cover and add leather elements here and there with accent chairs and ottomans. As weird as it may sound, you might have to consider your pet’s personality before you buy a leather sofa. Is your four-legged companion a drooly sort? Does he make himself at home on the furniture? Or, if a member of the feline category, hone his claws on the sofa leg? 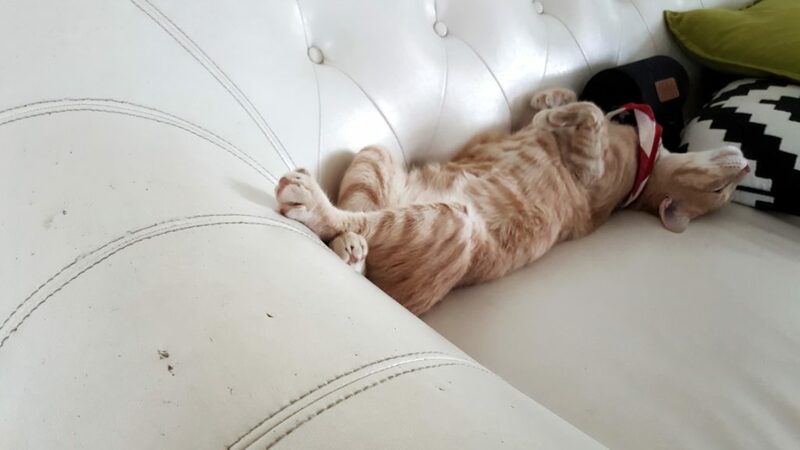 To be honest, I have a dog and two cats, and my leather sofa still looks amazing, so unless you have an unruly cat or a rowdy dog, you should be OK with a leather sofa. Although more limited than in fabric, there are still a lot of colour choices in leather. As leather is a natural material, you will find different grains and textures that can add character to a room, but the colour of leather will still be uniform. For pattern and funky accents, look to toss pillows, throws, area rugs and wall art. No doubt you’ve heard it said that leather will feel sticky in the summer and cold in the winter, and it’s true in extreme conditions, but even in a cool room, genuine leather will feel comfortable after a few seconds as it adapts to your body’s temperature. Synthetic materials like faux leather and PVC do not possess this quality. For a less expensive option that still looks great and has a lower price point, consider bonded leather, also known as reconstituted leather or faux leather. Bonded leather is made “by shredding leather scraps and leather fibres, then mixing it with bonding materials. The mixture is next extruded onto a fibre cloth or paper backing, and the surface is usually embossed with a leather-like texture or grain”. Although visually it can be hard to tell the difference between bonded leather and real leather, there is certainly a difference when it comes to durability. 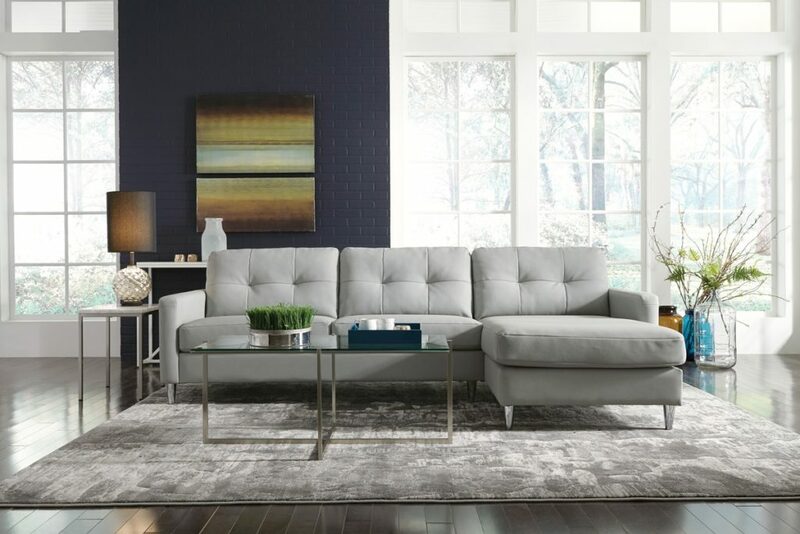 At first glance, the price point of bonded leather might seem attractive, but if you are looking for a long-lasting piece of furniture, genuine leather is the way to go. Although we’ve covered the most important considerations when choosing a material for your future sofa, there are other factors to take into account. To be sure you’ve covered all your bases in your search for the perfect centrepiece of your living room, consult an expert such as the ones at your local Brandsource store.